and save it to a disc right here in our Utah store! We are Utah's #1 digital conversion service company for all your scanning needs! 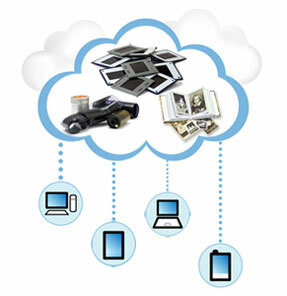 We professionally scan and digitize your slides, negatives, photos, videos & movie film. If you are not able to come visit us at our Utah store, we happily take mail-in orders. Just fill out the online order form & send us your slides, negatives, video tapes or movie film. We will let you know when your order arrives, when it will be completed & when we ship it back to you. If you need help at any time, feel free to call us at 801-782-5155. Did you hear us on KSL News Radio? Video Tapes are recorded on magnetic film, the more times a video tape is watched and as time goes on, the tape loses its magnetism. We have all seen video tapes full of static and eventually the picture is lost. 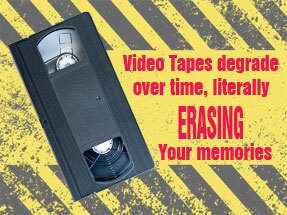 Once your video tapes have been converted to digital you can stop the degredation process. Digital Video tapes are not immune either. Once the digital signal is damaged the picture is lost completely. No More Discs. No More Waiting. We have teamed up with Google Drive to offer our customers the ability to download their digital images! We will upload your images right into your Google Drive account, from there you have complete access & control of your digital images. If you don't already have a Google Drive account, you can get free account. All work done in the USA! We do all our scanning service here in our Utah facility, we do not outsource our work outside the United States like other places. We take pride in our work, and we will treat your family film, videos and pictures as if they were our own. If do not live close enough to bring your order in to our Utah store, you can ship your order to us. 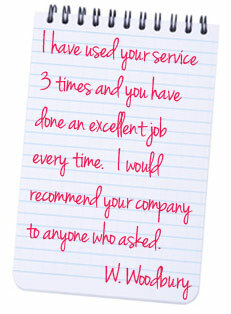 We will let you know once your order has arrived & when it will be returned.